The Sullivan Civic Center will try to meet all request for room arrangement. 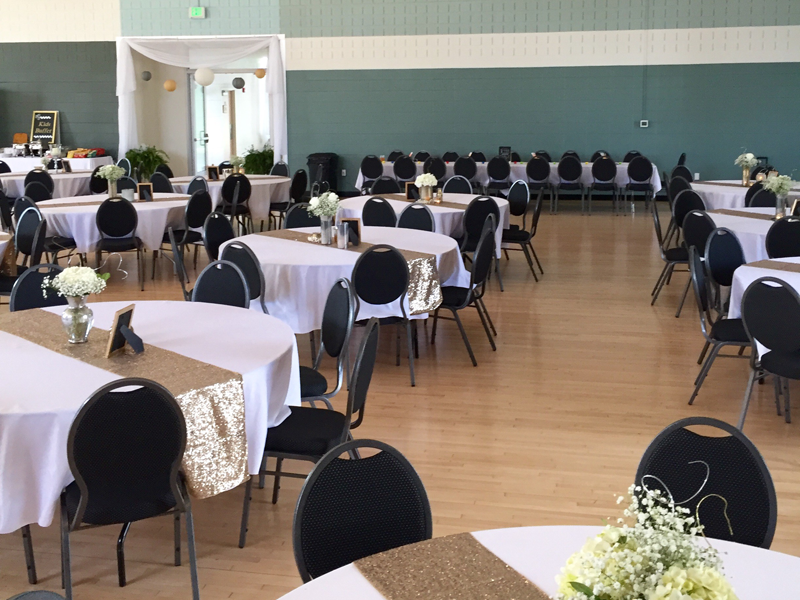 Arrangements should be discussed in person with The Sullivan Civic Center at least two weeks prior to your event. At that time, a final count will be required. The Sullivan Civic Center assumes no responsibility for damage, loss of merchandise or articles left on property prior to, during and following your event. The Sullivan Civic Center is to be used for functions approved by them only, and will not stand for any illegal activity. Any illegal activity taking place will result in immediate cessation of the event as well as loss of deposit. The facility is designated as a non-smoking environment. Please notify your guests that no smoking of any kind shall be permitted with the premises. Smoking is permitted outside of the building in designated areas. Use of the ice maker located in the kitchen is complimentary to both caterers and bartenders. If used, vendor is responsible for closing the lid and any clean-up associated with the use of the ice maker. The Sullivan Civic Center encourages you to use the caterer of your choice.